Renting our beach home for the first time! 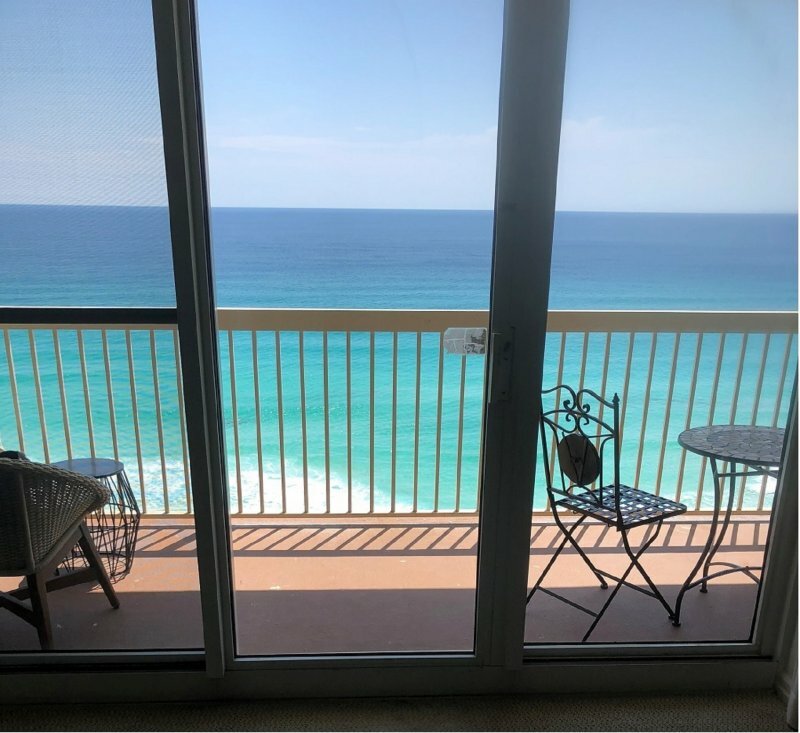 Completely updated beachfront condo with huge wrap around corner balcony with a 180 degree unobstructed view! 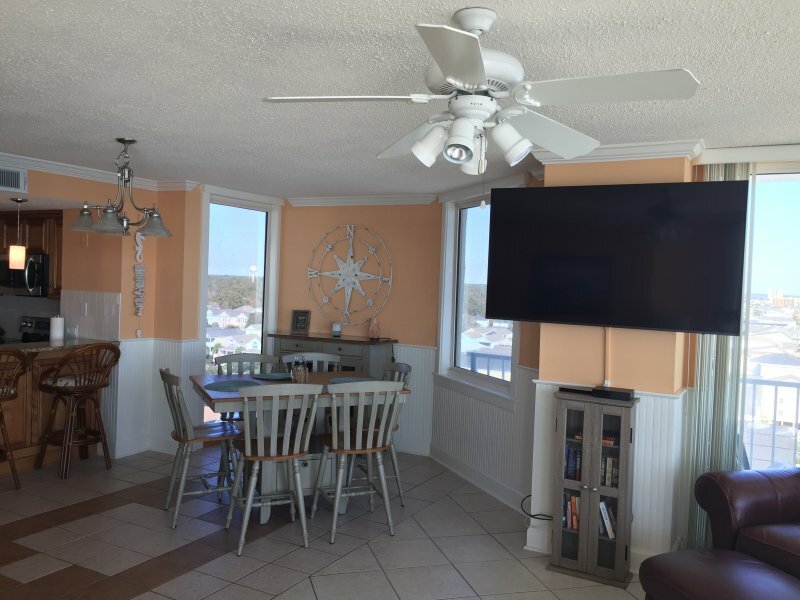 Large family room with huge 65” HD Smart TV, plenty of room for family gatherings, sofa converts to queen bed, ample seating for 9 in dining area. Each of the 3 master bedrooms have new super comfortable mattresses, new bedding and an en suite bath! The first master has a brand new hybrid king bed, with 42" HD Smart TV with sliding door access to the huge wraparound balcony. 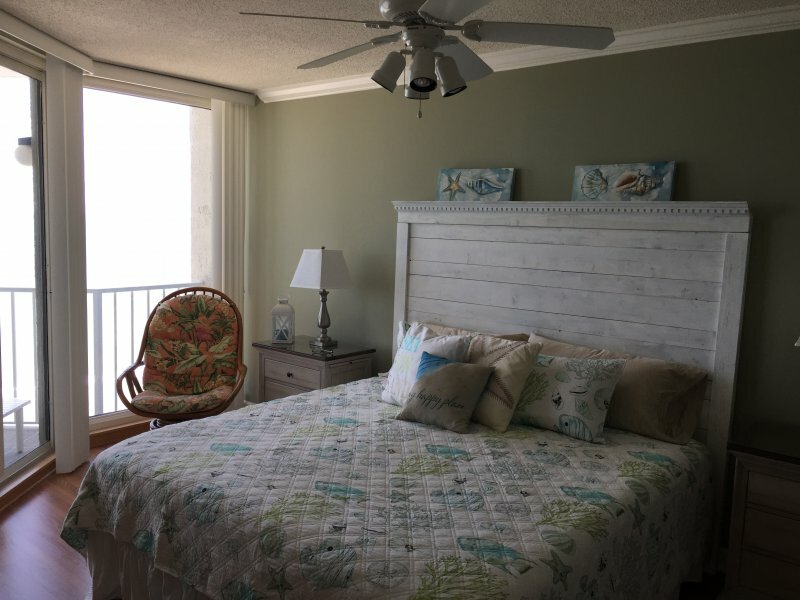 Wake up to the sights and sounds for the ocean! This master has a large en suite bath with walk in closet, plenty of cabinets for storage, tiled shower, double sink vanity and granite countertop. 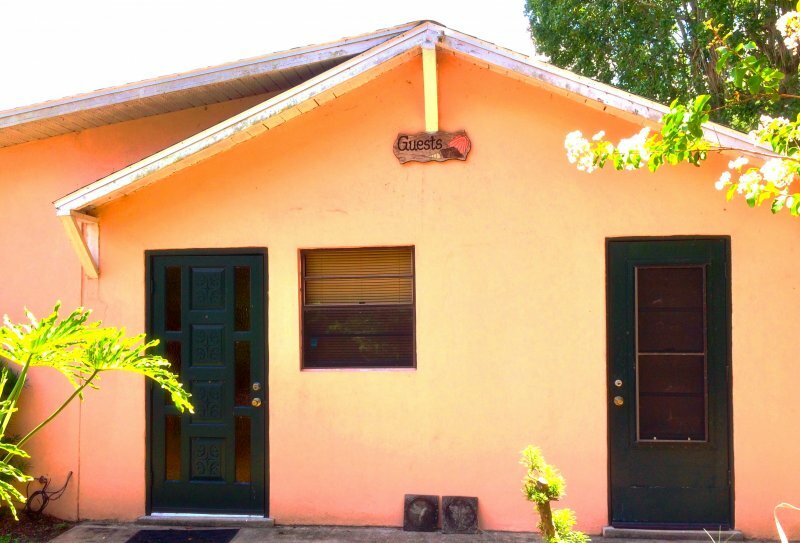 The second master has a queen bed, bright updated new bedding, a 50" HD Smart TV, tiled tub/shower combination en suite bath with large granite top vanity. The third master suite has a queen bed, classic style bedding, 42" HD Smart TV, huge tiled shower en suite bath with large granite top vanity. This is the perfect destination for your family vacation- 2 pools, 2 hot tubs, covered parking, GATED ENTRANCE, with 24 hour Security. 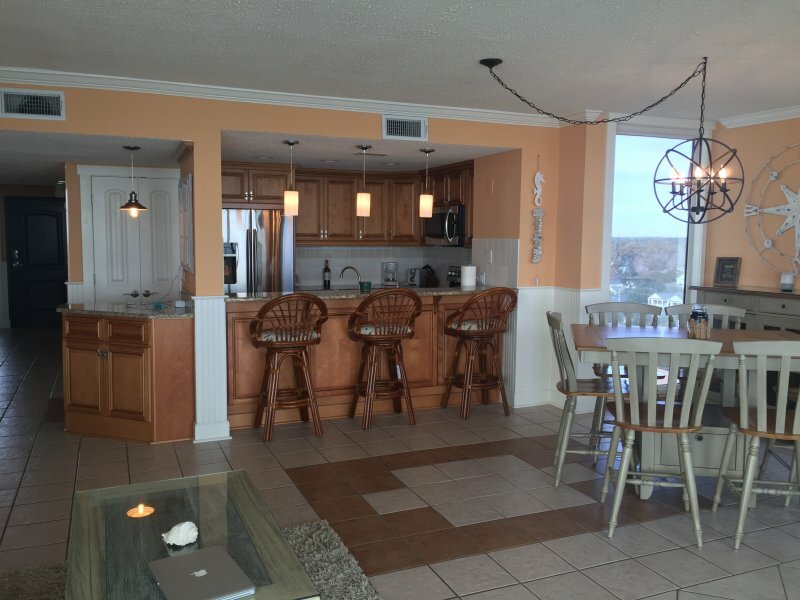 The beach is just 12 steps away off the pool deck! The GRAND family room has 2 walls of FLOOR to CEILING WINDOWS to capture the spectacular view of the Atlantic Ocean (north to south). It opens with multiple doors to a GRAND balcony equipped with a dining table and outdoor seating. 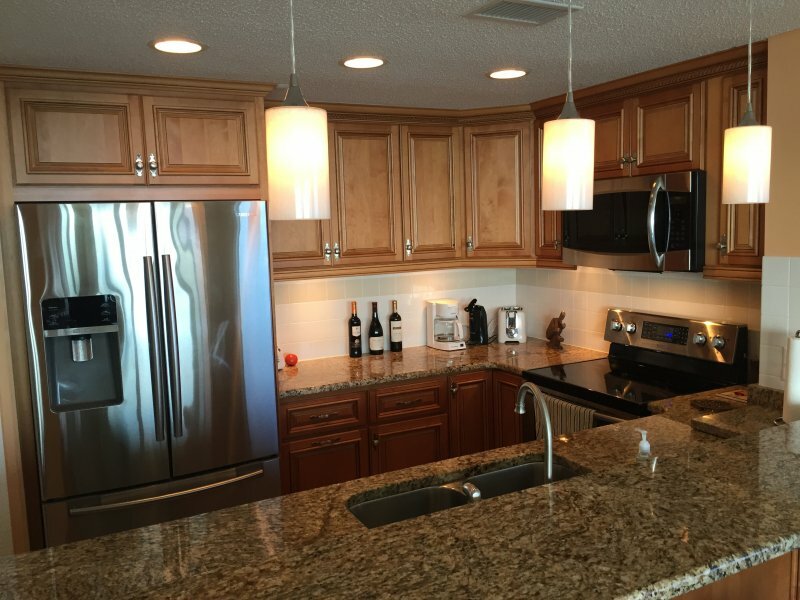 The kitchen has high end Samsung stainless appliances, granite countertops, large family size refrigerator and is stocked with plenty of cooking gadgets for those nights when you want to stay in and kitchen bar seating. In addition, the laundry closet has a full size Samsung front load washer and dryer. 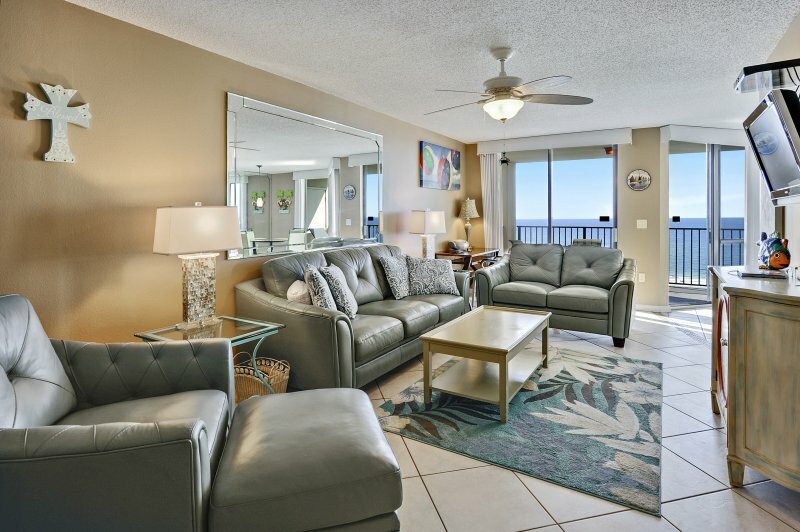 Enjoy the updates and high end finishes we have in our beach home, our home can be your home at the beach! A signed rental agreement and photo ID are required. One Ocean Place does not allow pets per HOA rules. Description Renting our beach home for the first time! Completely updated beachfront condo with huge wrap around corner balcony with a 180 degree unobstructed view! 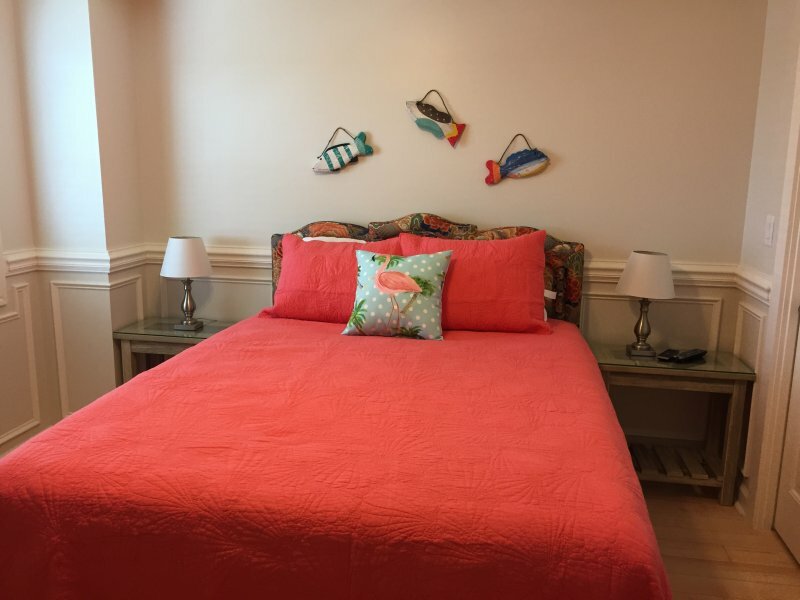 Large family room with huge 65” HD Smart TV, plenty of room for family gatherings, sofa converts to queen bed, ample seating for 9 in dining area. Each of the 3 master bedrooms have new super comfortable mattresses, new bedding and an en suite bath! The first master has a brand new hybrid king bed, with 42" HD Smart TV with sliding door access to the huge wraparound balcony. 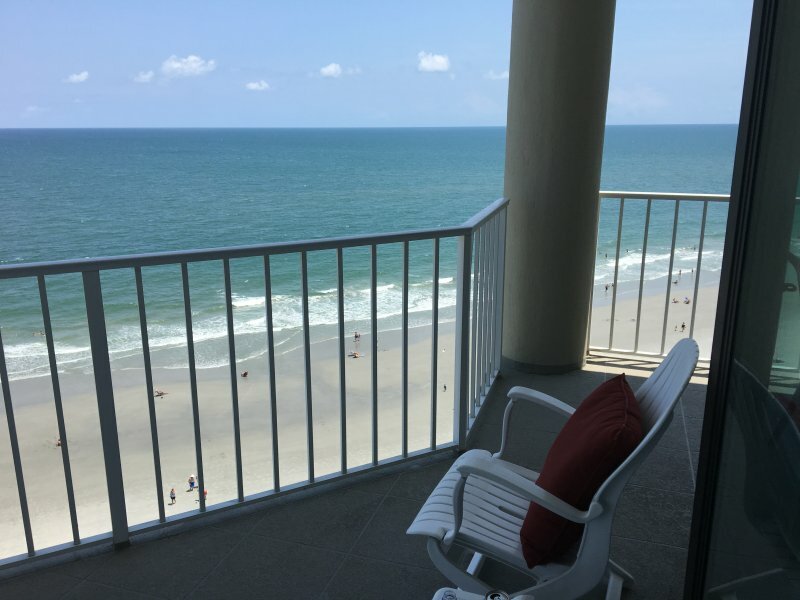 Wake up to the sights and sounds for the ocean! This master has a large en suite bath with walk in closet, plenty of cabinets for storage, tiled shower, double sink vanity and granite countertop. 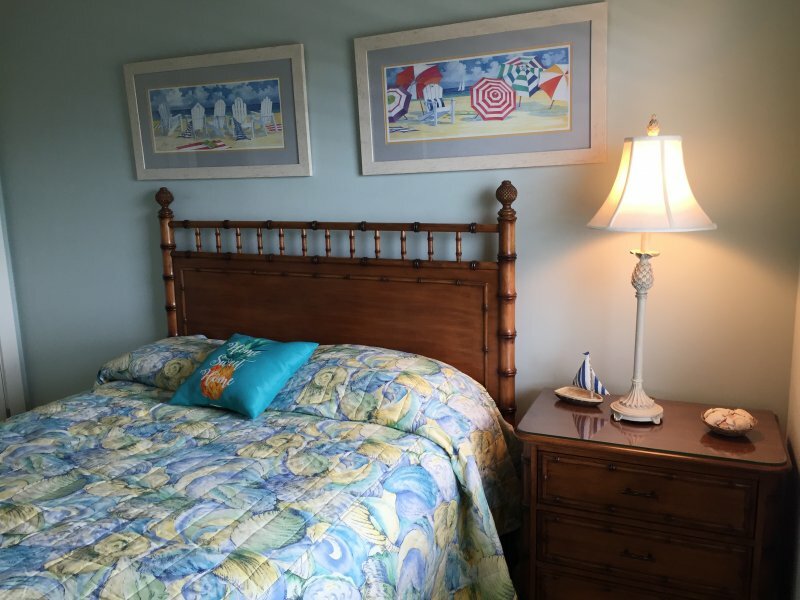 The second master has a queen bed, bright updated new bedding, a 50" HD Smart TV, tiled tub/shower combination en suite bath with large granite top vanity. The third master suite has a queen bed, classic style bedding, 42" HD Smart TV, huge tiled shower en suite bath with large granite top vanity. This is the perfect destination for your family vacation- 2 pools, 2 hot tubs, covered parking, GATED ENTRANCE, with 24 hour Security. 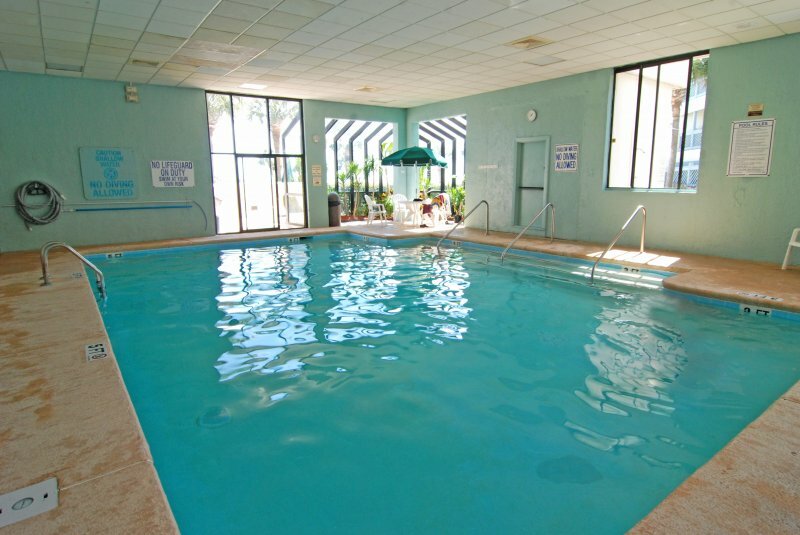 The beach is just 12 steps away off the pool deck! The GRAND family room has 2 walls of FLOOR to CEILING WINDOWS to capture the spectacular view of the Atlantic Ocean (north to south). It opens with multiple doors to a GRAND balcony equipped with a dining table and outdoor seating. The kitchen has high end Samsung stainless appliances, granite countertops, large family size refrigerator and is stocked with plenty of cooking gadgets for those nights when you want to stay in and kitchen bar seating. In addition, the laundry closet has a full size Samsung front load washer and dryer. 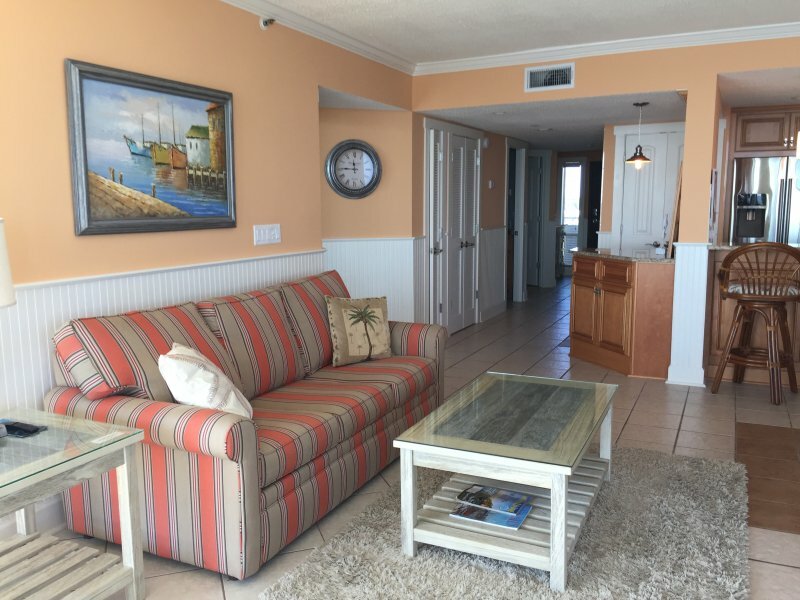 Enjoy the updates and high end finishes we have in our beach home, our home can be your home at the beach! A signed rental agreement and photo ID are required. One Ocean Place does not allow pets per HOA rules. 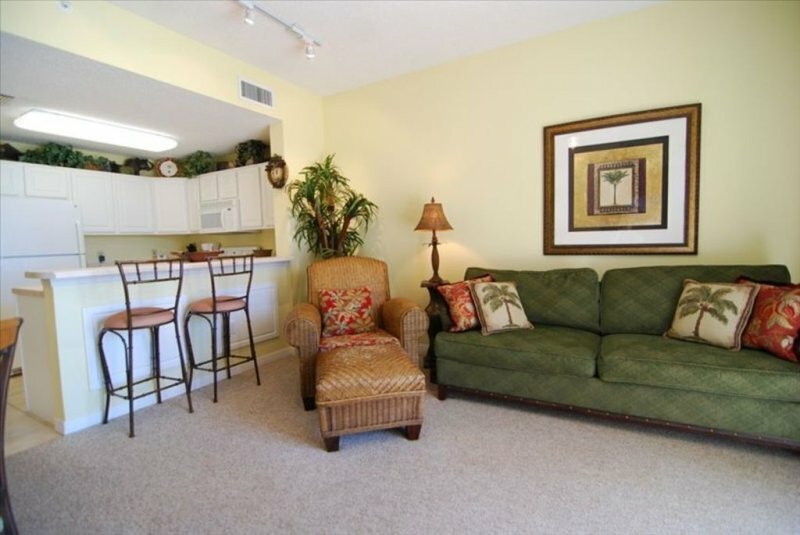 Entertainment System Family room has large 65" Smart TV with hundreds for channels. Each bedroom also has a large smart TV with cable. Utilities Fully electric kitchen, heat and a/c. 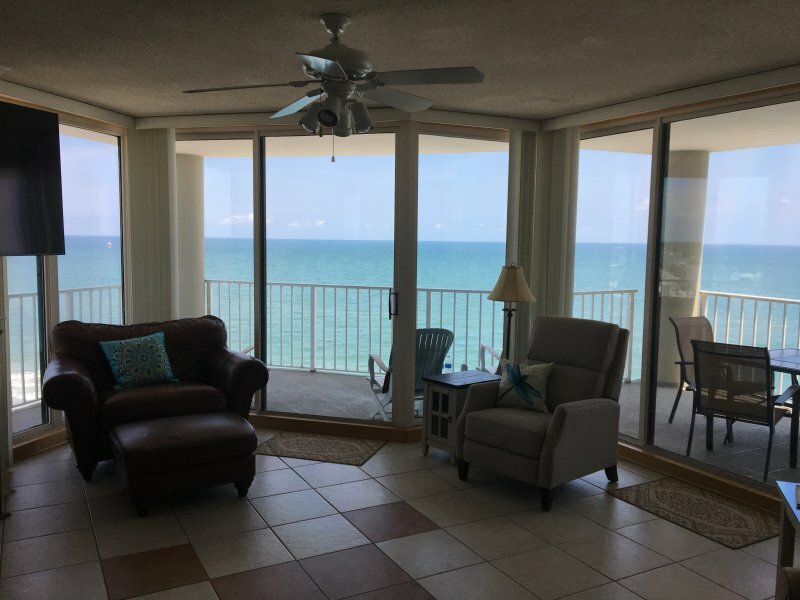 Huge wraparound balcony directly on the beach provides a 180 degree unobstructed north and south view of the Atlantic coastline. Watch stunning sunrises and sea birds dive for fish. The pelicans fly by so close you can almost touch them!